The “Painters Tape” Technique is a hot trend in the paper crafting world, and a quick browse on Pinterest will provide plenty of inspiration! 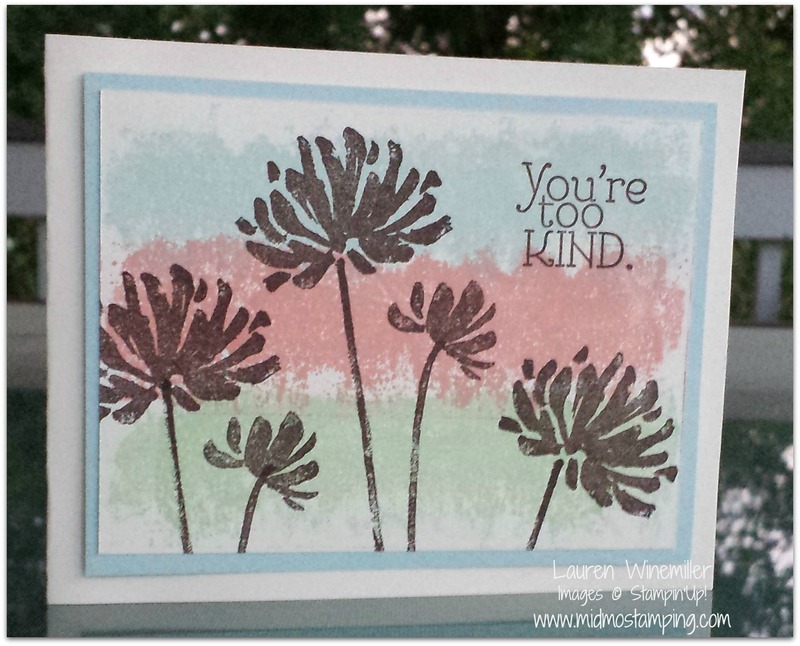 Here’s the version I put together for this month’s Stamp Set of the Month Class, featuring the “Too Kind” stamp set. It was a hit! This technique is quick, it’s fun, and it’s not nearly as intimidating at you may have thought! 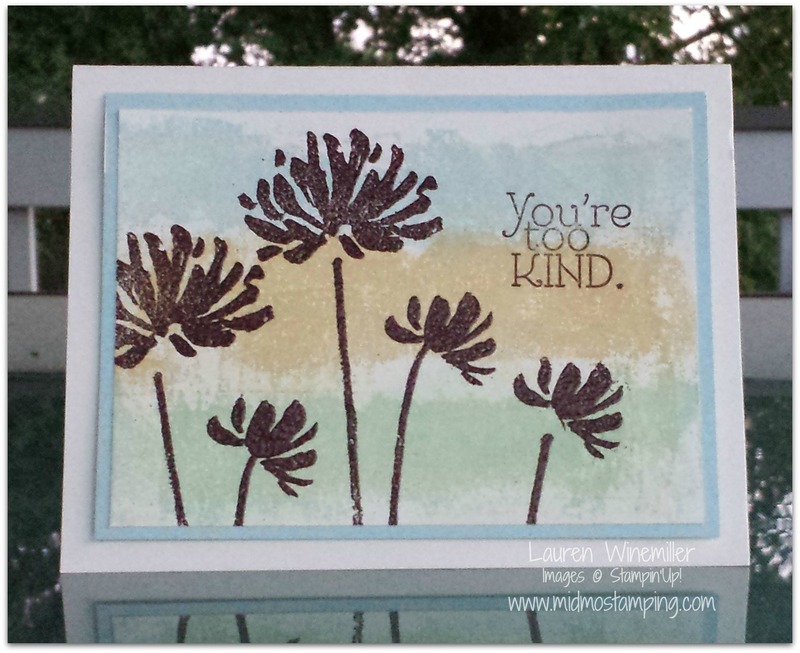 Here’s a link to a great video tutorial from SU Demo Deb Valder!